On Thursday 14th March, we fought off tough competition to receive The Workforce Award at the London Sport Awards at Twickenham Stadium. Having been shortlisted 7 times in 4 years, we were ecstatic to win in 2019. The Workforce Award in association with Lumina Energy is designed to recognise the work of organisations, groups and programmes that help more people to champion, advocate for and support people to lead physically active lives through a workforce that understands the needs of Londoners of every background. In 2018, we have trained and deployed a workforce comprising of 122 coaches and volunteers to help support the delivery and growth of disability sport. 24 coaches and 98 volunteers have been integral to supporting disabled Londoners access over 1,678 hours of inclusive activity across 16 London Boroughs. 45% of our weekly workforce have a disability, towering above the national average of 6%. This not only encourages positive disabled role models but ensures we have a greater understanding of our participants needs. In addition, 50% of our coaches and volunteers are female, further encouraging a less active demographic to participate in sport. 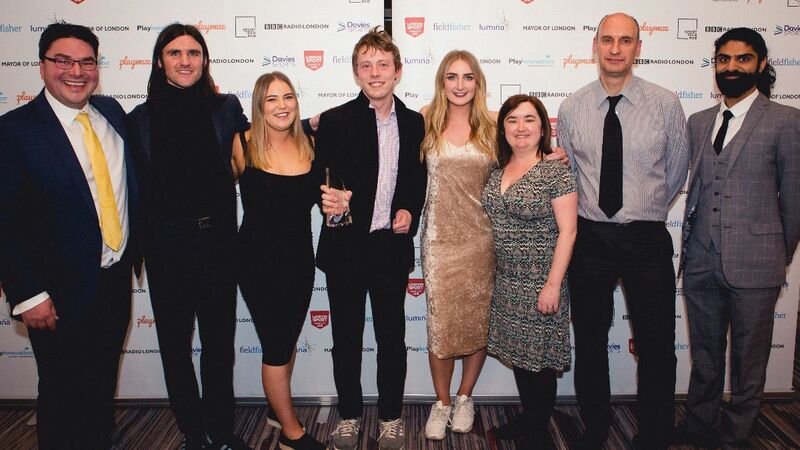 Louis Wickett-Padgham, Business Development Manager commented: "To win the award is a massive boost for our coaches, volunteers and staff, to have their hard work recognised and valued. We are making an impact, people do support what we are doing and this will push us to continue as much as possible. A lot of our coaches and volunteers were told they couldn't play sport. Firstly we want to give those people an opportunity to succeed and they will inspire our participants. Our workforce and staff are such brilliant role models. Also, we deliver opportunities that are adapted for all disabled people. Who better to understand those adaptations than disabled people themselves!" We would also like to thank all partners who have contributed to such a fantastic year. Sport England's one stop shop for sports clubs, Club Matters, visited our Summer Festival 2018 to see the action & hear from our workforce - watch the video here. Want to join our workforce? Become our next club coach or give back volunteering at our weekly Community Clubs.